Located in a historic canal house directly in the heart of Amsterdam's center - a stone's throw from the buzzing Nieuwmarkt - De Engelbewaarder is a casual and cozy cafe home to a unique combination of attributes not often found together in the bar world. 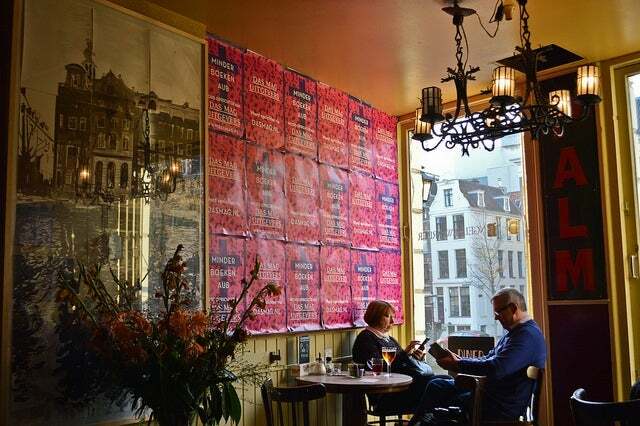 Located in a historic canal house directly in the heart of Amsterdam’s center – a stone’s throw from the buzzing Nieuwmarkt – De Engelbewaarder is a casual and cozy cafe home to a unique combination of attributes not often found together in the bar world. What attributes? Well, De Engelbewaarder offers a wide range of beer on draft, photography exhibitions, live jazz, and one of the best terraces in the entire city, making it a truly one-of-a-kind bar in Amsterdam – or anywhere else for that matter. An ambassador for the Palm Brewery, De Engelbewaarder typically offers over a dozen beers on draft, with seasonal selections in rotation depending on the time of the year. 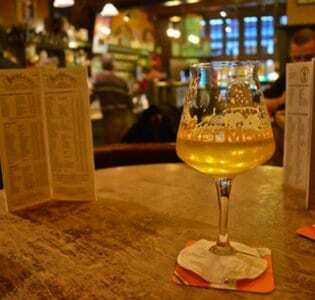 If you enjoy your beer inside, you will be surrounding by overflowing book shelves showing you first hand that De Engelbewaarder is the type of bar that people visit to relax, enjoy company with friends, think, and perhaps even enjoy a lively bit of debate. 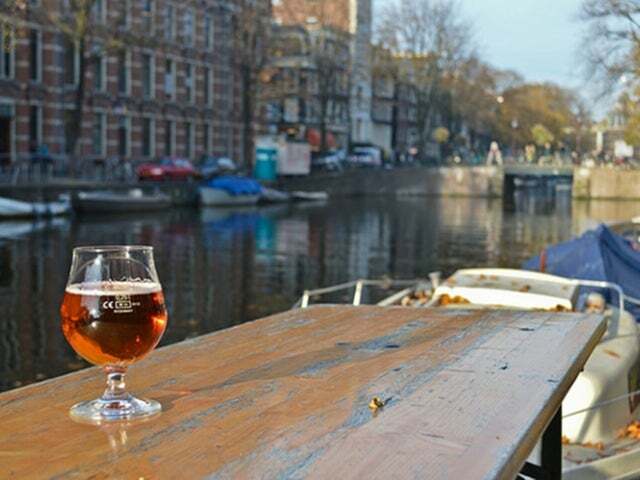 Outside on the terrace, a group of long tables come together to form a fantastic place to dock your boat and enjoy late afternoon sun with a view to the famous Waag building, which used to be a medieval gate to the city. 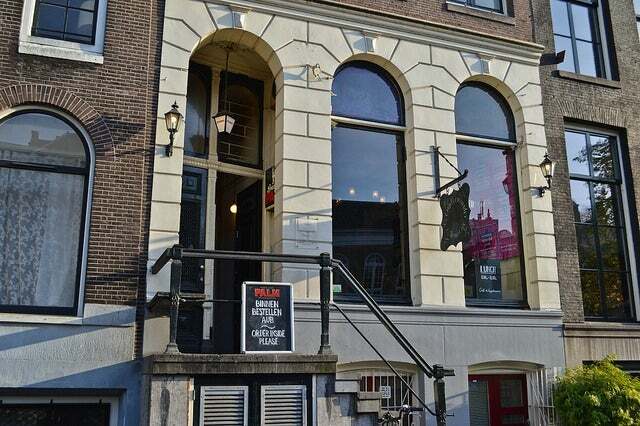 On Sunday afternoons, a local jazz trio has their jam session at De Engelbewaarder – a tradition that has gained a reputation around town as one of Amsterdam’s best kept secrets.